Known internationally as ABIWA THE STORYTELLER, Patricia Williams Diaw, Ed.D inspired the revival of a tradition practiced for centuries by all cultures, the art of storytelling. 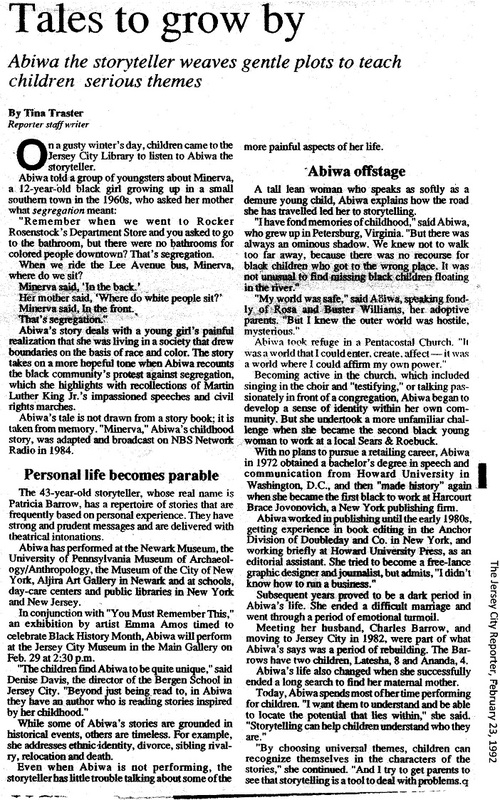 Abiwa mesmerized audiences with her warmth and serenity for three decades at renowned institutions such as: Museum of the City of New York, JerseyCity Museum, Newark Museum, University of Pennsylvania Museum, Delaware Children?s Museum, numerous libraries, galleries, private and public schools in the United States, the Caribbean and Senegal West Africa. Diaw studied professional storytelling at Bank Street Graduate College of Education, received a B.S. in Speech at Howard University, and a M.S. in Urban Development at Eastern University. 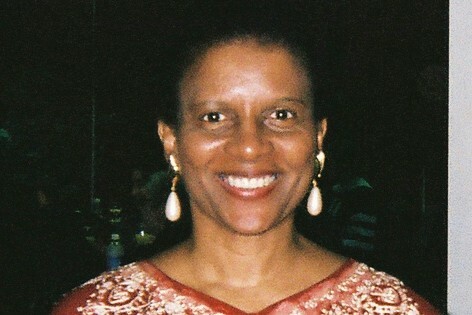 Prior to joining Harcum College as adjunct professor in 2010, Patricia Williams Diaw spent five years in the St. Joseph?s University Doctoral Program for Educational Leadership. Examining the findings of her preliminary research about attitudes, practices, and skill development of novice writers, her dissertation reports the motivational influence of storytelling. Minerva, an auto-ethnography and historical fiction, describes the experiences of a twelve-year-old girl growing up in a segregated town in Virginia, during the civil rights movement of the 1960s. Abd al Rahman Ibrahima is the story of a prince born in 18thCentury in West Africa. As a youth, Ibrahima was abducted from his African homeland, transported to America during the transatlantic slave trade, and lived most of his life in chattel slavery on a southern plantation. According to research, after President William Harding signed a decree, Abd al Rahman returned to Liberia and lived his declining years as a free man. With Names They Came, a story written and told by Abiwa the Storyteller. The story is about the first Africans to migrate to the location now known as Jersey City, New Jersey. The story is based on a 1980s interview with the now deceased former Mayor of Jersey City, The Honorable Glenn Cunningham who conducted research on the subject for many years. 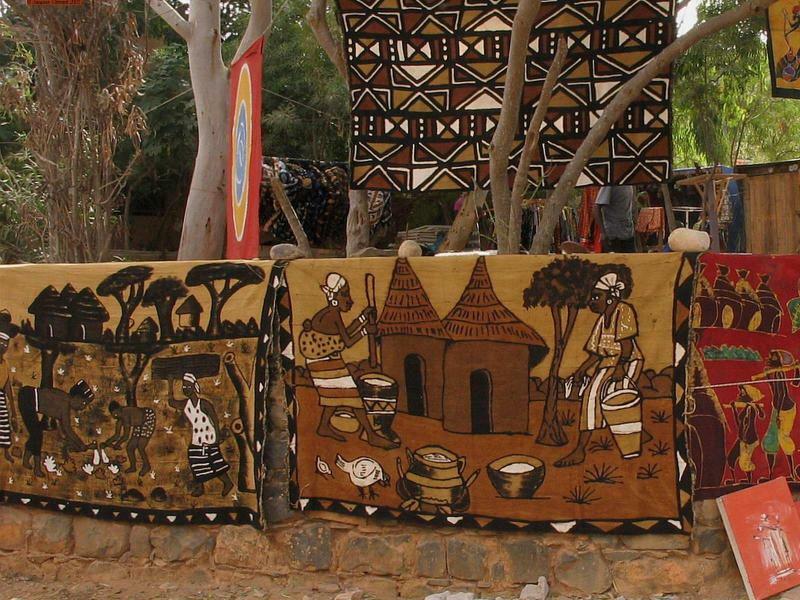 Bugga Naala, ('I Love You' in the Wolof language) is the chronicle of the history of the Diaw Family in the Wollo Kingdom located historically in the region of Louga, Senegal. Diaw pursues a commission or sponsorship to travel and spend time in Senegal interviewing members the Diaw family; this is a work in progress. THE WOODPECKER AND THE OWL, IMA THE BEAUTY, THE TOTA, THE CREATION STORY, THE LITTLE BLUE BIRD AND THE HUNGRY CAT, AND MANY MORE STORIES FROM AROUND THE WORLD. ABIWA THE STORYTELLER WILL BE DELIGHTED TO RESPOND TO YOUR QUESTIONS OR SCHEDULE YOUR LIVE STORYTELLING EVENT.